Staying connected from coast to coast! Count down: one day until I start my journey across the US! The sun is shining in La Jolla, CA. (With 101 days running of sunny skies, my friend, Alison, just returned her rain coat with tags still on it to REI. What’s the point of a rain coat here?! ) Alison took me to a look-out spot where I could admire the 360′ view. As I enjoyed the rolling ocean to the west, it was nearly possible to avoid focusing on the (large) mountain range to the east . It turns out that our first day requires quite a bit of climbing to the town of Alpine. Alpine brings thoughts of snow – the stuff I’ve just escaped from! 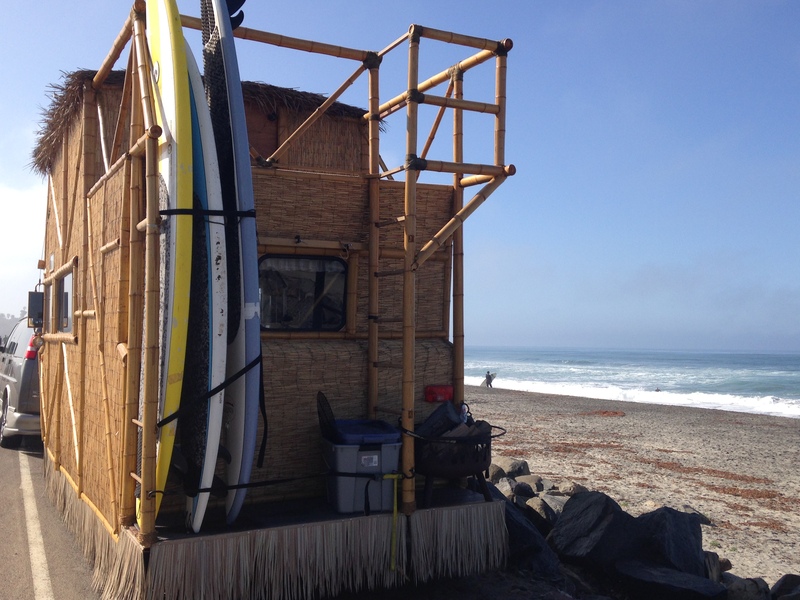 surfer mobile at Torrey Pines State Beach. Thanks for sharing with the class it has been fun hearing from long lost friends! Thank goodness for that towel you have me:) I am grateful every day! Really – thank you for everything. I will post my AZ pix tomorrow. Internet at these RV parks in AZ is terrible! Food is great and people affable. Sun is hot and nights are cold. All good! More later. Send my hugs to Alison too. So glad that you’re having a great start to your trip! Please keep us up-to-date! You Rock Anne!! Just a few small mountains and plains between you and the Atlantic! Enjoy it all!! Great fun riding and I hope you are recovering well. My hamstring isn’t giving me any troubles. Yippee. There is hope for you! I have now ridden 9 days in a row and feel pretty good. Eating a ton and enjoying the company. The internet is slow so hard to do the blog but will update with Arizona pix tomorrow. Anne…long lost GSB classmate here. Saw Craig’s email and had to chime in. What a great ride and adventure. I’m pretty jealous. I’m working with GU Energy… just holler if you want gels, electrolyte drinks, or recovery drinks shipped to you along your path and I’d be glad to send some. Enjoy the ride! So great to get your message and generous offer. I would be psyched to sample a supply of GU gels and recovery drinks. We are going to cover 1000 miles crossing TX with some very long days so just before that would be great timing! We are camping every night but have a couple of hotel stays over the two mths including in El Paso, TX at the Comfort Inn Airport East on the night of April 3rd. If it wasn’t too much trouble that would be a treat if you sent something there. 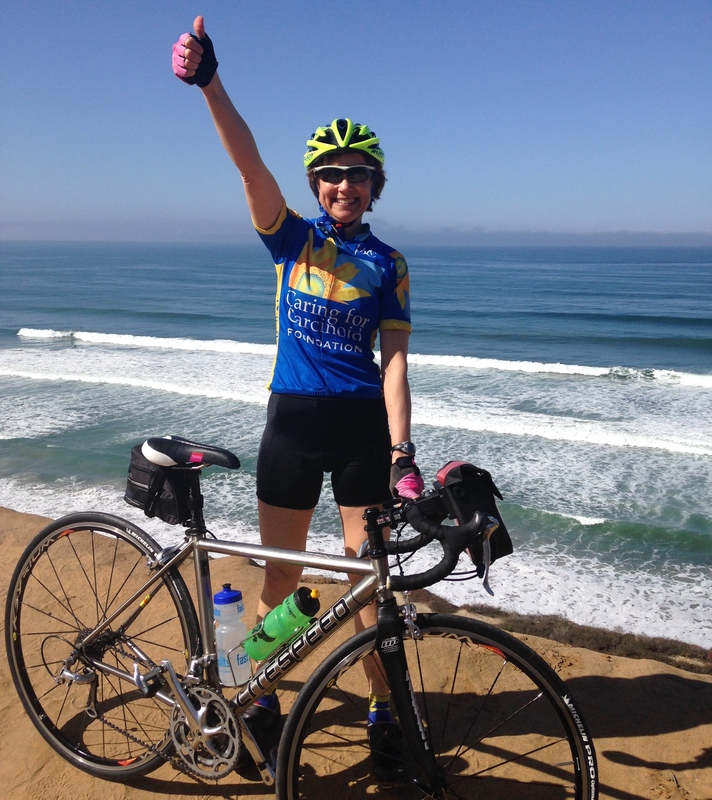 I will give you a shout out on my blog Of course:) I am riding with 12 others with Adventure Cycling Association. If you do plan to send anything, please label the box with my name care of Adventure Cylcling Association. Thanks a million!